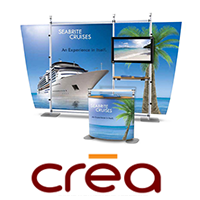 A trade show booth is the best way to project your brand image during an expo or trade fair. 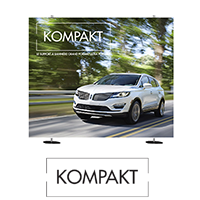 Whether you wish to attract new clients, introduce a new product or establish your brand image, a trade kiosk is the best method to get noticed at an expo! 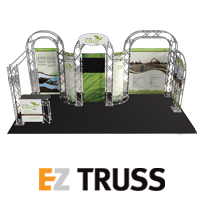 We have the largest selection of portable exhibit stands in the greater Montreal area. Laminated surface booths offer a smooth finish with no folds or stitching. 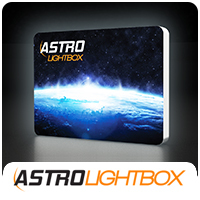 It is also easy to add extras, like a video monitor or light fixture. 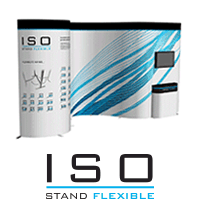 This type of kiosk is ideal for exhibitors seeking a marketing communication solution that lasts over time. 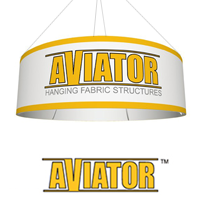 Fabric exhibit stands are light and durable. 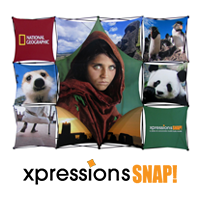 Many types of fabric are available, depending on what is needed for the exhibit. 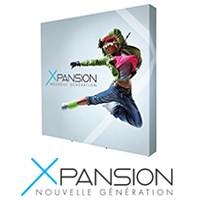 The use of sublimation printing on fabric guarantees great results with vibrant colours. 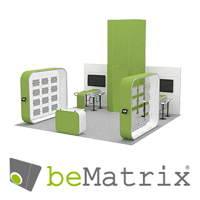 This type of stand is great for exhibitors needing a kiosk that makes an impact and is easy to carry. 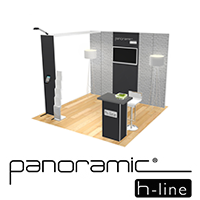 The trade show booth is the first thing that welcomes clients and makes your brand’s first impression. 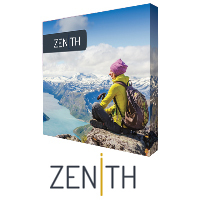 It is possible to create any ambiance to match your brand image perfectly. 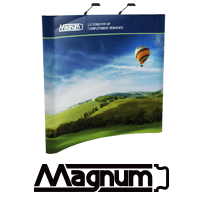 A trade show booth is a purchase that can offer a solid return on investment. This is why it is important to choose the experts in the field in order to maximize that return and choose the best visual based on your objectives. They will listen to your needs and will help you project an image that creates outstanding impact. 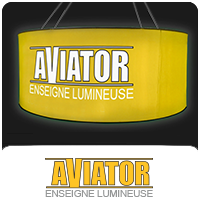 You even have the option of installing a hanging sign above your booth to attract even more attention! 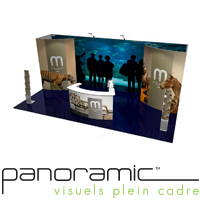 The specialists in trade show booths will also help you choose the best position for your graphical elements. A design service is available if you wish to leave this task to the pros and focus on preparing for the expo. 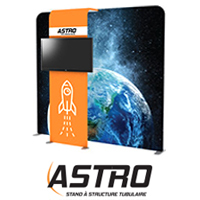 Trade show marketing offers many opportunities to businesses, and having a trade kiosk can increase these even more with: increased revenue, heightened support from target clientele and more networking within your industry.